After 10 years in prison, Robert Latimer is being released on parole. He was convicted for second degree murder in the killing of his severely disabled daughter, Tracy. He argued he killed his daughter to end her suffering. The courts ruled it was still murder. Robert Latimer, a farmer working a spread in Saskatchewan northwest of Saskatoon, killed his 12-year-old daughter Tracy on October 24, 1993. There has never been any doubt about this. Latimer told police he did it. He said he loved his daughter and could not bear to watch her suffer from a severe form of cerebral palsy. So he placed her in the cab of his Chevy pickup, ran a hose from the exhaust to the cab, climbed into the box of the truck, sat on a tire and watched her die. 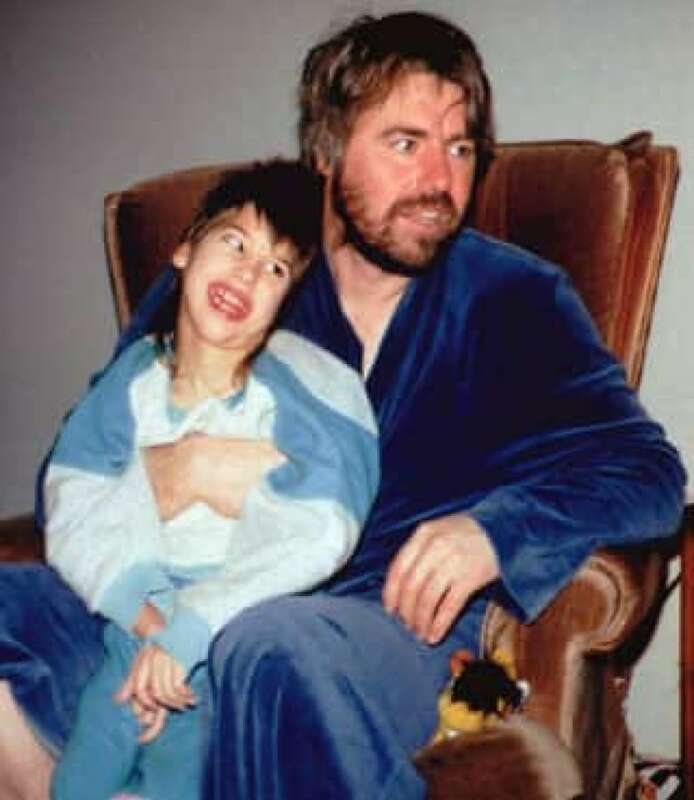 An undated photo of Robert Latimer and his daughter Tracy at home. ((Maclean's/Canadian Press))Tracy was a 40-pound quadriplegic, a 12-year-old who functioned at the level of a three-month-old. She had been repeatedly operated on and at the time of her murder was due for more surgery, this time to remove a thigh bone. She could not walk, talk or feed herself, though she responded to affection and occasionally smiled. Tracy was in constant, excruciating pain yet, for reasons not entirely clear, could not be treated with a painkiller stronger than Tylenol. On November 4, 1993, Latimer was charged with first-degree murder. A year later, he was convicted of second-degree murder. Oct. 24, 1993: Latimer kills his daughter Tracy by piping carbon monoxide into his truck. Nov. 16, 1994: Jury convicts Latimer of second-degree murder. July 18, 1995: Saskatchewan Court of Appeal decides 2-1 to uphold Latimer conviction. Oct. 25, 1995: Revelation that prosecutor interfered with jury by questioning them about religion, abortion and mercy killing. Nov. 27, 1996: Supreme Court of Canada hears Latimer case. Feb. 6, 1997: Supreme Court orders new trial due to jury interference, but upholds Latimer's confession. Oct. 27, 1997: Latimer's second trial begins. Nov. 5, 1997: Jury finds Latimer guilty of second-degree murder and recommends he be eligible for parole after one year. Dec. 1, 1997: Judge Ted Noble gives Latimer "constitutional exemption", orders sentence of less than two years, with one to be spent in the community. Nov. 23, 1998: Saskatchewan Court of Appeal sets aside constitutional exemption and upholds mandatory sentence of at least 10 years. Feb. 1999: Latimer appeals to the Supreme Court of Canada. May 6, 1999: Supreme Court announced it will hear an appeal of Latimer's sentence for 1993 killing of his seriously disabled daughter. June 14, 2000: Supreme Court hears appeal. Jan. 18, 2001: Supreme Court upholds life sentence, with no parole for 10 years. 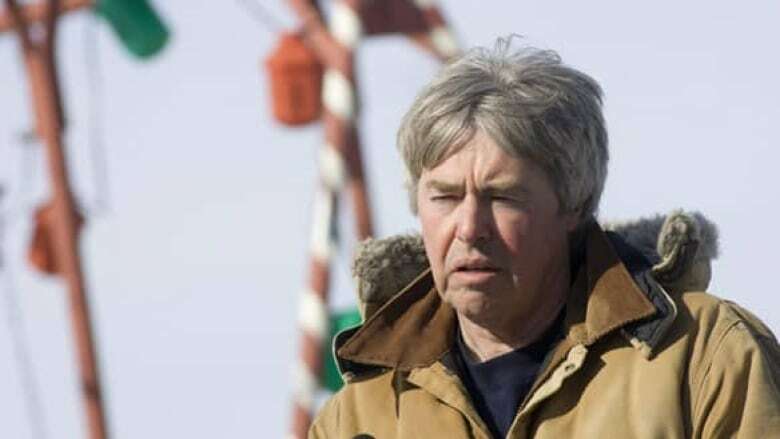 Dec. 17, 2003: Speaking more than 10 years after he ran a hose from the exhaust to the cab of his pickup truck and put his daughter Tracy inside to die, Latimer says he still believes he did the right thing. Dec. 5, 2007: Latimer's bid for day parole is denied after a National Parole Board hearing at a prison in Victoria. The three board members, who took almost an hour to make a decision, said they were struck by Latimer's lack of insight into the crime he committed, the CBC's Heather Robinson reported. Feb. 27, 2008: Latimer's appeal of the National Parole Board decision is successful. He is to serve day parole in Ottawa. March 13, 2008: Latimer is released from the Victoria jail. He is granted a four-day unescorted leave to visit his ailing mother in Saskatchewan before reporting for day parole in Ottawa on March 17. Dec. 12, 2008: The National Parole Board approves Latimer's application for a 10-day unescorted leave, allowing him to spend Christmas with his family, for the first time since he was incarcerated. Feb. 17, 2010: The National Parole Board approves Latimer's application to continue day parole in British Columbia, where he was working and studying to become an electrician. He also helped manage - from a distance - the family farm in Saskatchewan. Latimer was allowed to be at work or school during the day and return to a halfway house five evenings a week. He spent weekends at an apartment he rented. He asked the board to reverse those conditions, so he could spend five nights a week at the apartment and two at the halfway house. Nov. 29, 2010: Latimer is granted full parole, which takes effect on Dec. 6, 2010. Latimer's lawyer says his client does not want to discuss the conditions of his release or his emotional state. The issues arising from the Latimer case are momentous. Should courts abide by the letter or the spirit of the law? Would a decision favourable to Latimer legalize euthanasia, mercy killing? Would it put the disabled in danger? Would it mean the end of mandatory minimum sentences for convicted persons? The killing of Tracy Latimer has been called an act of "compassionate homicide." Others warn that leniency for Latimer, by means of a constitutional exception, would have shown that the disabled are regarded as second-class citizens. Following his first conviction, the Latimer case became horrendously complex. The Supreme Court ordered a new trial when it was learned that the RCMP, acting on orders from the Crown, had possibly tainted the case by questioning potential jurors on their views on religion, abortion and mercy killing. Latimer stood trial again in October 1997. A month later he was convicted, again, of second-degree murder. New legal ground was broken in December 1997, when Justice Ted Noble — trying to distinguish between mercy killing and cold-blooded murder — granted Latimer a constitutional exemption from the minimum sentence for second-degree murder. He explained that, for Latimer, the minimum sentence would constitute "cruel and unusual punishment." Noble carefully detailed the reasons for his decision, anticipating the controversy it would provoke — and the likelihood it would be appealed. He said the law "recognizes that the moral culpability or the moral blameworthiness of murder can vary from one convicted offender to another." He called Tracy Latimer's murder a "rare act of homicide that was committed for caring and altruistic reasons. That is why for want of a better term this is called compassionate homicide." Noble also described Latimer's relationship with Tracy as "that of a loving and protective parent" who wanted to end his daughter's suffering. Noble said Latimer "is not a threat to society, nor does he require any rehabilitation." "Tracy enjoyed outings, one of which was to the circus, where she smiled when the horses went by. She also responded to visits by her family, smiling and looking happy to see them. "There is no dispute that through her life, Tracy at times suffered considerable pain. As well, the quality of her life was limited by her severe disability. But the pain she suffered was not unremitting, and her life had value and quality." Nearly a year later, in November 1998, the Saskatchewan Court of Appeal overturned Noble's ruling, imposing the mandatory minimum sentence: 25 years, with no parole before 10 years. Then, on January 18, 2001, the Supreme Court of Canada upheld his conviction and life sentence. His first bid for day parole in December 2007 was denied after a hearing at a Victoria prison. However, that decision was overturned two months later, and Latimer was ultimately released for day parole on March 13, 2008. At the time of the 2001 Supreme Court ruling, critics worried that a decision soft on Latimer would send a signal to many convicted murderers that they, too, may be victims of "cruel and unusual punishment" and are eligible for constitutional exceptions to reduce their mandatory minimum sentences. Unusual as the Latimer case is, there are related cases, such as battered women who have killed their batterers — often their husbands — and received leniency from the courts. Special legislation is being considered for victims who kill their oppressors, based on self-defence. It's more difficult when the victim, like Tracy Latimer, is so clearly blameless.